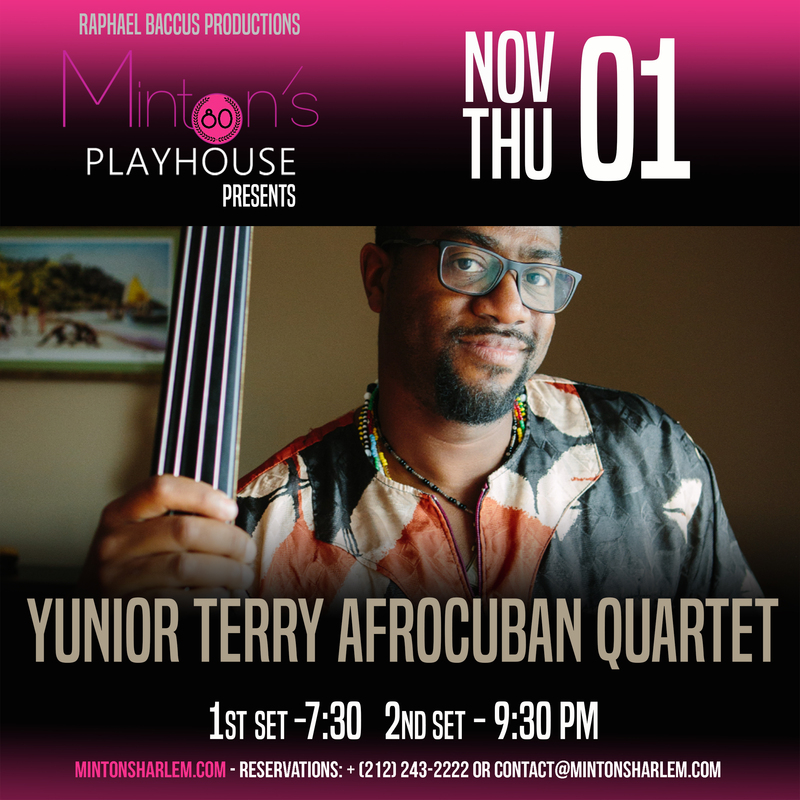 Born in Camaguey, Cuba, bassist, violinist, and composer Yunior Terry is part of one of Cuba’s most gifted musical families. Following his father and two older brothers Yosvany and Yoel, he began his musical training at the age of seven. He grew up surrounded by the music of Afro-Cuban religious traditions and learned to play the chekeré from his father Don Pancho, the undisputed master of the instrument. Yunior graduated from the prestigious National School of Art (ENA) with a double major in bass and violin. While in Cuba, he played violin with the Cuban National Symphony and bass with folkloric and Latin jazz groups.